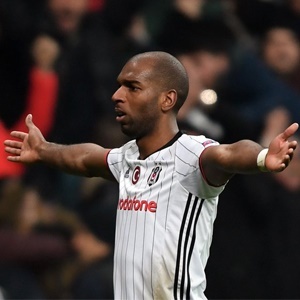 Istanbul - Besiktas stayed perfect in the Champions League with a 2-0 win over Leipzig after first-half goals from Ryan Babel and Talisca on Tuesday evening. The Turkish side now has six points from two games in Group G, three more than Porto, with last year's semi-finalist Monaco and Leipzig on one point. Porto won 3-0 at Monaco in the group's other match on Tuesday. Besiktas, who are now unbeaten in 10 European home matches, had never beaten German opponents in seven previous attempts in European games. Playing their maiden European away match, Leipzig, enjoyed most of the ball possession and had 19 attempts at goal but was made to pay for their inexperience. Babel opened the scoring with a low shot in the 11th minute while Talisca doubled the hosts' lead with a header from Ricardo Quaresma's cross just before the interval.